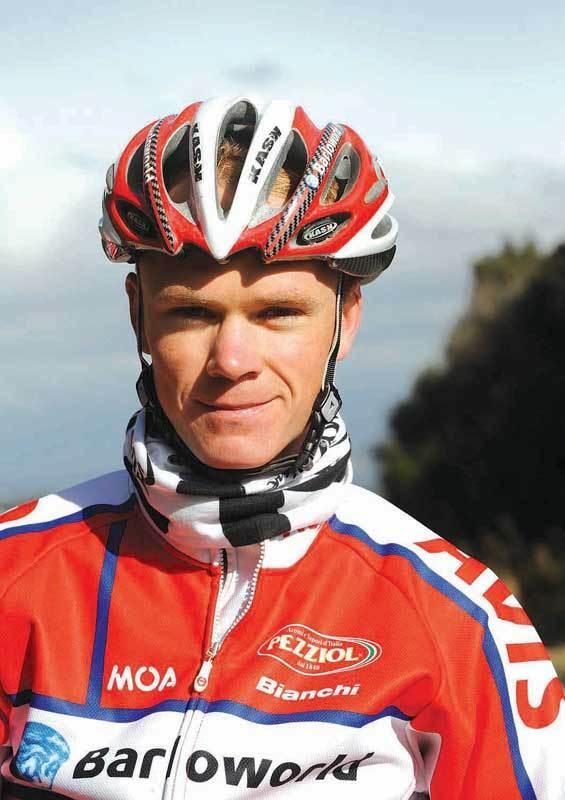 Barloworld pro Chris Froome has recently become a British national and is gunning for a place both in the Tour and in the Olympic road team. Born in Kenya, he’s already lived in South Africa as a teenager and is now based in Italy – so what’s next for the globetrotting neo-pro? CW: Define yourself as a bike rider. CF: I’m a long-distance time triallist and climber, I’m best in stage races. Short prologues are definitely not my thing, I need time for my legs to warm up properly. How and why did you change your nationality? CF: For several reasons. Firstly, because almost all my family have now left Kenya. I barely have any connections with the place, and I left there for South Africa when I was a young teenager – about 13 or 14 – in any case. Secondly, I am British by blood; that’s where my grandparents come from and they still live in Tetbury near Cirencester. One of my brothers is living in London, too. Thirdly, the infrastructure and support which British Cycling can give me is much, much better than anything I could get from Kenya. It all added up, basically. Would you now be eligible to ride for Britain in the Olympics this year? CF: Yes. If you change nationality, the Kenyan federations have the right to stop you from racing for your new country for three years. But they don’t have to apply that regulation if they feel there’s no good reason to stop you from racing for a different country. That is what happened. How did you start out riding a bike? CF: I just used to go around the place on my mountain bike. I loved it. But when we moved to South Africa I realised that road racing was more my sort of thing. As an amateur, I ran into Robbie Hunter [Barloworld sprinter] quite a lot, and he was the one that got me in touch with the team. They liked what they saw and that was how I landed a contract with them. What’s your racing been like so far this season? CF: It started well. I got a second place overall in the Giro del Capo behind my team-mate Christian Pfannberger. Then, I got fourth in a time trial in Portugal, as well as in the Tour of Santarem, and sixth or seventh overall. But recently I’ve done a lot of races that haven’t suited me – flat ones in Belgium. It’s not been so good. I’m hoping to start doing races that are more my kind of thing, and that this year I’ll end up getting a place in the Tour as well. What I could do then is build on that form and use it as a springboard for the Olympics. The time trial in particular looks well-suited to me; especially as it’s got a big hill in it. You’ve no interest in the track, then? CF: None. It’s not my thing. Have you been in touch with British Cycling much? CF: Yes, with [logistics manager] Doug Dailey, mainly sorting out all the paperwork. How soon will the decision be made about whether you’ll make the Tour squad? CF: It won’t really be decided until a couple of weeks before the race. The team want to take the best selection possible, so they won’t be making any decisions in a hurry. Where are you based at the moment? Did you just stick a pin in a map? CF: [Laughs] Almost. I’m currently living in an apartment in Chiara, an Italian town just north-east of Milan. My girlfriend works in the city so it’s convenient for her to get in there by train. The team are based nearby – which is really why I chose it – and the training is great. It’s easy to get away into the hills, but there are plenty of flat rides too, if you want them. I’d definitely recommend Italy to anyone as a place to live. A lot of people say the French are arrogant, for example, and hard to get along with, but Italy’s a whole different story altogether. The food’s great too! CF: Truth to tell, I’ve not come across so much of Geraint; he’s been doing a lot of work on the track. But Steve and I have done some races together – he’s got a great sense of humour. You and Cummings both rode Liège-Bastogne-Liège. How was that for you? CF: That was some race. I ended up absolutely exhausted. I was almost blacking out with the pain. Maybe I didn’t eat enough. But at least I finished.